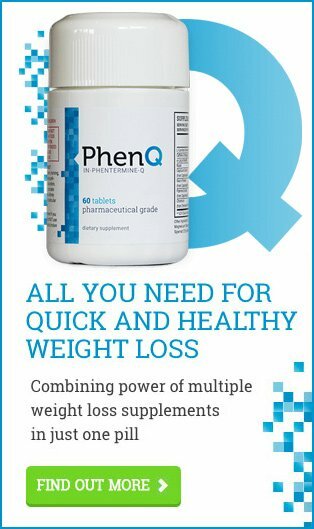 Here you can find the latest information, tips and advice for those who are willing to take phentermine, a prescribed only weight loss drug. You can also find recommended supplements as non-prescription alternative to Phentermine. Phentermine for Men; What are the Differences? Do you sometimes feel that phentermine, and everything associated with it, is targeted at women? We’ve felt that way too, so you aren’t the only ones. Don’t let the marketing fool you though, there are plenty of men taking phentermine. Today we’ll be focusing on our male readers with a post dedicated to men. We’ll be looking at some of the issues surrounding male weight loss, particularly when it comes to men considering – or already taking – phentermine. Phentermine has become famous, but with that fame comes some myths. There’s a lot of false information and viewpoints spread online through the weight loss community, whether it’s through social media, forums, or websites. How can you tell which information is true and which is just a myth? Today we’ll be debunking the top 10 phentermine myths so you have all the right information! Anyone that has lost lots of weight understands how difficult it is. After working hard for months to reach your goal, you just want a body that you can be comfortable with having. There’s not much more discouraging than having some loose skin ruining your slender new curves. One of the most effective – yet also most overlooked – method to lose weight is by building muscle. By combining building muscle with Phentermine, you give yourself the best chance of reaching your target weight and physique. For anyone looking to quickly and efficiently lose weight, Adipex is likely the first word that they think of. What is Adipex though? How does it work? How effective is it really? We’ll look at these questions and more with our Adipex review, letting you know what you can expect when taking it, the potential side effects, and how you can get Adipex for yourself. One concern for many people taking phentermine is that phentermine is said to give a false-positive result on an employment drug test. In response to the many questions, we’re asked about phentermine and drug tests, here we explain more about the drug screening process, why phentermine can give a positive result, and how to avoid these causing problems with your employer. One of the listed side effects of phentermine medication is the possibility of an allergic reaction. Allergic reactions to phentermine include skin rashes and itching, as well as more severe symptoms such as swelling and difficulty breathing. In this article we’ll be taking a more in-depth look at the signs of phentermine allergy and how to respond if you suffer from any of these reactions.